Overcast. A stray shower or thunderstorm is possible. High 53F. Winds ENE at 5 to 10 mph..
SOUTH GLENS FALLS — John A. Toole, known as “Jack,” passed away surrounded by his loving family after a courageous battle with cancer on Oct. 20, 2018, at the age of 68. Jack was born on March 15, 1950 in Glens Falls to John (Jack) and Joan (Carrier) Toole. 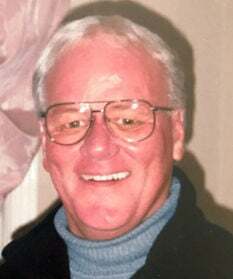 He attended St. Mary’s in Hudson Falls and graduated from Hudson Falls High School in 1968. In high school, Jack found his passion in running. Jack was allowed to run during free periods and even ran in the middle of winter with snow boots. Jack was completely driven to be the best runner he could be. With that determination, and the energetic coaching of Tony Luciano, he broke the school record in the mile by running it in 4:16 minutes, which still stands today. He finished his high school career as New York State Runner Up in the Track Championship. As a result of his success in high school and the influence of Coach Luciano, Jack earned a full track scholarship to the University of Nebraska. While at Nebraska, he ran against the top runners in the country and won a Big Eight Championship. In 1973, he graduated from college and began his first job as a teacher at Granville Elementary, where he taught 4th, 5th, and 6th grade for 35 years. It’s not very common that students at that age remember their teachers; however, for Jack it was. Jack was such a positive influence on his students that many of them remembered and reached out to him well into their adult lives. He was even nominated into the Who’s Who Among America’s Teachers, Honoring Our Nation’s Most Respected Teachers in 1998, 2002, 2004 and 2005. Along with teaching, Jack coached football and track for 46 years at Hudson Falls High School and Granville High School. Throughout his time coaching, he helped coach various players and runners from other schools districts, including Glens Falls and Queensbury. In the 1990s, he was also the head coach of the Glens Falls Greenjackets. Jack has had a decorated coaching career by winning numerous football championships and producing various championship runners. In 2015, he was inducted into the Greenjackets Hall of Fame. What made Jack’s coaching special was not only the success of championships or by using his analytical techniques, but it was special by his strong influence on the players he coached and coaches he worked with. “Coach Toole” was special in that he cared and had so much passion for the game and the players he coached. He provided guidance on and off the field to his players and cared not only about bringing out the best of their abilities, but about them being the most successful in life, no matter where it took them. Accompanying all of his success as a teacher and a coach, Jack married his wife of 27 years, Maria (Caruso), in 1991. Jack strove to be the best husband and father to his children that he could be. He was once asked what he was most proud of in life, and without hesitation he responded with, “I am most proud of my wife and my children.” Jack was such a humble, generous, brilliant, strong man with the biggest heart. He loved people and doing whatever he could for others. He knew everything there was to know about coaching and sports, and he could talk about it all day and everyday. Fortunately, Jack passed down his athletic talent to all of his children, and it filled his heart with joy to watch them play sports throughout high school and college. Jack’s memory will live on in the family that survives him and all those whose lives he touched, whether it be from teaching or coaching in the most special way. Jack was predeceased by his father, John (Jack) Toole; and his mother-in-law and father-in-law, Anita and Salvatore Caruso. He is survived by his wife of 27 years, Maria; his daughter, Alexa and her fiancé, Nathan Palmer; his son, Christopher and wife, Melissa; his son, Ryan; his mother, Joan; his brother, James and wife, Nancy; his sister, Mary Jane and husband, Robert Burns; his sister, Joanne and husband, Scott Palmer; his grandchildren, Michael, Brendan, Fallon and Gianna; and several loving nieces and nephews. Family and friends may call from 4 to 8 p.m. on Thursday, Oct. 25, 2018 at Regan Denny Stafford Funeral Home in Queensbury on Quaker Road. A Mass of Christian burial will be celebrated at 11 a.m. on Friday, Oct. 26, at St. Michael the Archangel Church, Saratoga Avenue in South Glens Falls. The family suggests donations be made in honor of Jack to the Lung Cancer Research Foundation at www.lungcancerresearchfoundation.org.